"Psalms 90:10 says that the days of our years are 70 years,..."
"May the Lord watch over all of us as we mourn the loss of..."
"Condolences to all who loved him. 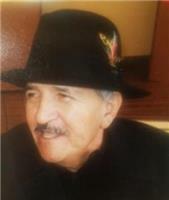 He's resting peacefully..."
Miguel passed away August 3, 2018 at the age of 70 in Victorville, CA. Services will be held Friday, August 17th, 2018 at: McKay's Funeral Home, 14444 7th St., Victorville, CA at 12:00 noon.